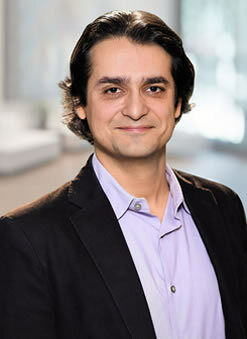 John Tehranian is a founding partner of One LLP. In his practice, he has litigated numerous high-profile lawsuits, including copyright, trademark and right of publicity disputes involving Madonna, Don Henley, B.B. King, Bettie Page, Jimi Hendrix, and Perez Hilton, among others. Variety’s 2013 Legal Impact Reportrecognized John as one of the world’s top 50 entertainment lawyers and featured him, along with noted attorneys from O’Melveny & Myers, Gibson Dunn & Crutcher, Munger Tolles & Olson, Kirkland & Ellis, and Loeb & Loeb, in its list of the top litigators in the business. John has also been recognized as a Southern California Super Lawyer and has been named one of Orange County’s Top Five Intellectual Property Lawyers and Top Five Litigators by OC Metro. A graduate of Harvard University and Yale Law School, John began his legal career at O’Melveny & Myers LLP. He is the author of dozens of articles and two books: Infringement Nation (Oxford University Press, 2011), which the Harvard Law Review has praised for its “insightful critique of the copyright regime” and “convincing case for . . . reform,” and Whitewashed (New York University Press, 2009), which Publisher’s Weekly has lauded as a “consistently informative” work that “covers fresh legal and social territory.” His work has appeared in such publications as the Yale Law Journal, Northwestern University Law Review, George Washington Law Review, Iowa Law Review, Berkeley Technology Law Journal, and the Chronicle of Higher Education. A frequent commentator for the broadcast and print media, he has appeared on such television programs as ABC’s Nightline and has been quoted as an expert on legal issues in such publications as The New York Times, Harper’s Magazine, Financial Times, Los Angeles Times, Hollywood Reporter and Christian Science Monitor. He has spoken at numerous national and international conferences and venues, from the National Baseball Hall of Fame and Museum, MAK Center for Art & Architecture and the American Intellectual Property Law Association to the Royal Institute of Technology (Stockholm), Humboldt University (Berlin) and Monash University (Melbourne). His work has been widely cited, from testimony before the United States Congress and decisions of the Israeli courts to briefs before the United States Supreme Court in such landmark intellectual property cases as MGM v. Grokster, Tiffany v. eBay, and Golan v. Holder and such leading legal publications as the Yale Law Journal, Harvard Law Review and Nimmer on Copyright. John is also the Irwin R. Buchalter Professor of Law at Southwestern Law School and the Biederman Entertainment and Media Law Institute in Los Angeles, California. He has previously served as a tenured Professor of Law at the University of Utah, S.J. Quinney College of Law, and as a Visiting Professor of Law at Loyola Law School. He has also received the Wiley W. Manuel Award for Pro Bono Legal Services from the Board of Governors of the State of California of his work on behalf of low-income clients. Representing a leading Hollywood photography agency in a high-profile copyright infringement and “hot news” misappropriation suit against a prominent Internet gossip blogger. Representing a renowned artist and illustrator in copyright and trademark infringement suits against several multinational media conglomerates. Defending a prominent Southern California architect in a novel and high-profile architectural copyright infringement suit involving two multi-million dollar Tuscan-style mansions. Serving as an expert witness on copyright law in an infringement suit involving product labeling and instructions for a major home appliance manufacturer. Representing a leading financial media publication in numerous copyright, misappropriation and breach of contract suits . Defending the developer of a leading Internet software application against trademark infringement claims by the world’s largest peer-to-peer file sharing network. Representing a major Hollywood studio in a movie title dispute over a prominent forthcoming summer release. Defending a prominent international Yogini in trademark infringement litigation over a best-selling line of DVDs. Representing the owners of a famous restaurant chain in a dispute involving trademark ownership and infringement of the restaurant’s name. Representing a leading consumer product company in the extreme sports space regarding protection of its marks. Representing a scientist-patentee, the inventor of a microprocessor-controlled artificial respirator system, in a successful willful patent infringement suit against a medical manufacturer that resulted in a $3.5 million judgment, including a $1 million award for attorneys’ fees. Representing a multinational biotechnology conglomerate in patent infringement litigation relating to cardioplegic solutions infused into the human heart to minimize muscle damage during open-heart surgery. Representing a manufacturer of music-related technology in a patent infringement and antitrust lawsuit. Defending a publicly traded technology developer in patent infringement litigation involving optoelectronic transceivers and surface emitting lasers for use in multi-gigabit fiber optic telecommunications networks. Obtaining a unanimous reversal in Taylor v. Delatoore, 281 F.3d 844 (9th Cir. 2002), a civil rights appeal before the United States Court of Appeals for the Ninth Circuit. Obtaining a successful remand in Al Salami v. Ashcroft, No. 02-70260 (9th Cir. 2002), a political asylum appeal before the United States Court of Appeals for the Ninth Circuit. Drafting an amicus curiae brief on behalf of the respondents in Rice v. Cayetano, 528 U.S. 495 (2000), a constitutional and Native Hawaiian rights appeal before the United States Supreme Court. Representing respondent in Tehrani v. Hamilton Medical, Inc., 331 F.3d 1355 (Fed. Cir. 2003), a patent infringement appeal before the United States Court of Appeals for the Federal Circuit. Obtaining a unanimous reversal and remand in Crow Irvine #2 v. Winthrop California Investors Limited Partnership, 128 Cal. Rptr. 2d 644 (Ct. App. 2002), a commercial dispute involving partnership rights before the California Court of Appeal. An Intersystemic View of Intellectual Property and Free Speech, 81 GEORGE WASHINGTON LAW REVIEW 1 (2012). Consecration and Control in Cultural Reproduction: Towards a Critical Copyright Theory, 2012 B.Y.U. LAW REVIEW 1237 (2012). Curbing Copyblight: Three Modest Proposals, 14 VANDERBILT JOURNAL OF ENTERTAINMENT & TECHNOLOGY LAW 993 (2012). Infringement Nation: Copyright 2.0 and You (Oxford University Press, 2011). Parchment, Pixels and Personhood: User Rights and the IP (Identity Politics) of IP (Intellectual Property), 82 UNIVERSITY OF COLORADO LAW REVIEW 1 (2011). The Emperor Has No Copyright, 24 BERKELEY TECHNOLOGY LAW REVIEW 1397 (2009). Whitewashed (New York University Press, 2009). The Last Minstrel Show? 41 CONNECTICUT LAW REVIEW 781 (2009). Selective Racialization, 40 CONNECTICUT LAW REVIEW 1201 (2008). Infringement Nation: Copyright Reform and the Law/Norm Gap, 2007 UTAH LAW REVIEW 537 (2007). Compulsory Whiteness, 82 INDIANA LAW JOURNAL 1 (2007). The Secret Life of Legal Doctrine: The Divergent Evolution of Secondary Liability in Trademark and Copyright Law, 21 BERKELEY TECHNOLOGY LAW JOURNAL 1363 (2006) (co-authored with Mark Bartholomew). Aloha, Section 1981, LEGAL TIMES (June 19, 2006). Whither Copyright? Transformative Use, Free Speech, and an Intermediate Liability Proposal, 2005 B.Y.U LAW REVIEW (2005). Copyright Liability After Grokster, CALIFORNIA LAYWER 37 (November 2005). The High Court in Cyberspace: MGM v. Grokster, Digital Copyright, and Secondary Infringement Theories, 47 ORANGE COUNTY LAWYER 24 (April 2005). Et Tu, Fair Use? The Triumph of Natural-Law Copyright, 38 U.C. DAVIS LAW REVIEW 465 (2005). Government Surnames and Legal Identities, in NATIONAL IDENTIFICATION SYSTEMS: ESSAYS IN OPPOSITION 11 (Carl Watner, ed., 2004) (co-author with James C. Scott and Jeremy Mathias). Sanitizing Cyberspace: Obscenity, Miller and the Future of Public Discourse on the Internet, 11 JOURNAL OF INTELLECTUAL PROPERTY LAW 1 (2003). All Rights Reserved? Reassessing Copyright and Patent Enforcement in the Digital Age, 72 UNIVERSITY OF CINCINNATI LAW REVIEW 45 (2003). Optimizing Piracy: Achieving Efficient Management of Intellectual Property Portfolios, in IL CONGRESO INTERNACIONAL DE LA SOCIEDAD DE LA INFORMACION Y EL CONOCIMIENTO (CISIC) 2003 ANNUAL PROCEEDINGS, New York: McGraw Hill (2003). The Creation of Legal Identities Proper to the State: The Case of the Permanent Family Surname, 44 COMPARATIVE STUDIES IN SOCIETY AND HISTORY 4 (2002) (co-author with James C. Scott and Jeremy Mathias). A New Segregation? Race, Rice v. Cayetano, and the Constitutionality of Hawaiian-Only Education and the Kamehameha Schools, 23 UNIVERSITY OF HAWAI’I LAW REVIEW 109 (2000). Performing Whiteness: Naturalization Litigation and the Construction of Racial Identity in America, 109 YALE LAW JOURNAL 817 (2000). Famine and the Rule of Law: Freedom of the Press, Regime Consolidation and the Politics of Starvation. A Study of the 1982-1985 Droughts in Ethiopia, Kenya and Zimbabwe, in NOT BY BREAD ALONE: FOOD SECURITY AND GOVERNANCE IN AFRICA 145 (Ade Ogunrinade et al. eds., 1999).